Korea is finally getting serious about preventing suicides with the establishment of a dedicated ministry department with a budget of 10.5 billion won ($9.3 million) for 2018. Health and Welfare Minister Park Neung-hoo said Thursday that the ministry will set up a team dedicated to lowering the country’s suicide rate, which is one of the world’s highest, and add 500 more counsellors at 241 mental health welfare centers across the nation, starting next year. “Suicide is not a personal problem anymore, but a national task which our society as a whole should take interest in and try to solve,” Park said ahead of World Suicide Prevention Day, which falls on Sunday. Preventing suicides is one of the 100 key policies that President Moon Jae-in vowed to push forward during his five-year presidency, with an aim to reduce the number of suicides per 100,000 people to 20 by 2020. 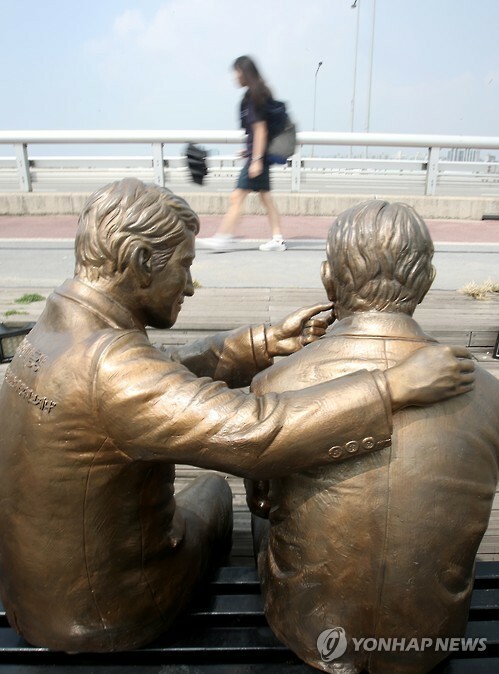 South Korea’s suicide rate remains the highest among members of the Organization for Economic Cooperation and Development, with 26.5 people per 100,000 taking their lives in 2015. According to the Welfare Ministry, there were an average 37 suicides per day in 2015, totaling 13,513. There are a myriad of factors behind Korea’s high suicide rate, with experts citing stress from excessive competition at school and work, heavy workload, high unemployment, dissolution of families and weak social safety nets, among others. Many family members of someone who has taken their own life, estimated to be hovering around 700,000 over the last 10 years by the ministry, are also thought to suffer from mental and physical distress. The government’s survey of 72 family members of suicide victims showed that 75 percent of them experienced depression and lack of motivation, 69 percent had insomnia and 65 percent felt anxiety. Some 11 percent received treatment for mental problems and 43 percent had suicidal thoughts. Civic groups criticized the government for its lack of efforts in preventing suicides at a forum held Thursday, calling for comprehensive measures across ministries and municipalities. Baek Jong-woo, secretary-general of the Korea Association for Suicide Prevention, took issue with the lack of funding for suicide prevention efforts. “The increased budget could prevent suicides,” he said, noting that the number of those who died in traffic accidents decreased by about 39 percent during the 2001-2011 period mainly due to a budget of 400 billion won to reduce traffic accidents. Some 9.9 billion won has been assigned to prevent suicides in the Welfare Ministry’s budget this year -- amounting to 0.02 percent of the budget to stave off traffic accidents.